NEW! Looking for a creative way to cover up that ugly wall, fence or bare space between you and your neighbor? Have an empty trellis or decorative vine support? Then our exotic passion flowers are for you! These beauties create a unique explosion of color, texture and novelty in one dramatic bloom. 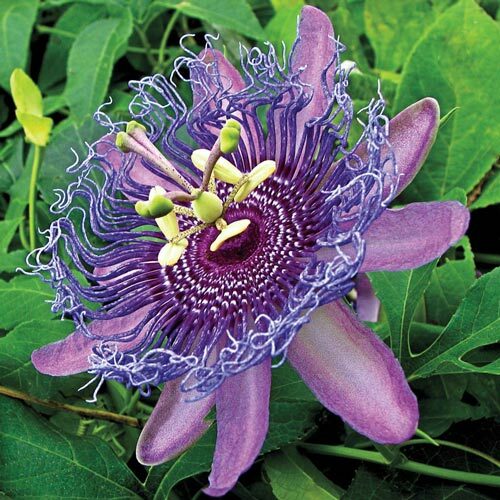 Gorgeous flowers, either creamy white accented by blue-purple fi laments, or deep red with purple and white centers, instantly attract attention no matter where you grow them.With their vining habit, passion flowers are also perfect for hanging baskets, and can even be grown in patio containers so long as they are moved indoors for winter in northern zones. Once the blooms are spent, enjoy the sweet, tart, guava-like flavor of the egg-shaped fruit they produce. Winter CareIn climates where temperature goes below 20 degrees F, trim back hard and bring inside for winter months. Treat as a house plant. Flower Form2-3" bowl-shaped blooms with long petals and exotic frilly coronas. Unique CharactersticsMiniature evergreen is noted for its red cones. 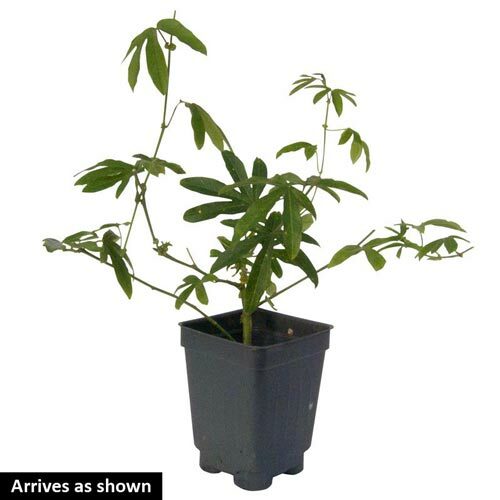 Makes an excellent speciman plant. Slow growing - only 2" a year. Attracts a wide range of birds including chickadees, goldfinch, nuthatch.